April 2019 - American Limousines, Inc. 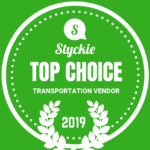 Whether you’re planning a vacation or are traveling on business, you might be wondering: which ground transportation options will be best for my needs? For many years, taxi cabs were seen as the most convenient form of transportation, especially in large cities. But now, there’s a lot more variety to choose from. And while taxis aren’t likely going anywhere, consumers are starting to consider some alternatives. In today’s post, we’ll talk about why you might want to consider renting a limo instead of hailing a taxi next time you’re in town. You’ll deal with stress: Simply put, taking a taxi ride can be a bit anxiety inducing. Even just finding a cab can be a stressful endeavor. Once you’re actually in the car, you’ll be faced with the premise of the running meter and unpredictable traffic. Some cab drivers don’t even know how to navigate through their own city very well, which can leave you in charge of directions. The whole experience can set a stressful tone — and that’s the last thing you want when you’re heading to an important meeting or are trying to get some much-needed rest and relaxation. Your driver’s main aim is speed: If you’ve ever sat through a horrendous taxi trip, white knuckled in the back seat, you’ll probably know all too well that the goal of most taxi drivers is getting to a destination as quickly as possible. While some might take a longer route to rack up your fare, most want to get from point A to point B with extraordinary speed so that they can increase the number of passengers they can pick up in a given day. Ultimately, this won’t make for an enjoyable trip and can even be a safety hazard, in some cases. You won’t be very comfortable: Taxis aren’t really made for luxury. They’re charming in their own way, but no one calls a cab for the purpose of riding in style. They’re rather basic and don’t have much to offer in the comfort department. The seats may be repaired with duct tape or the seatbelts may have seen better days. If you’re trying to make a great first impression, a taxi cab isn’t necessarily the best way to do it. You’ll be able to relax: Of all the ground transportation options available to you, limos are definitely one of the most comfortable. Not only that, but your driver will be seasoned, professional, and safe. Since limo drivers average around 105 trips every week and are held to high standards, you won’t ever have to worry about weaving through traffic or that your driver won’t know where they’re headed. You can sit back, relax, and just enjoy the ride. You’ll know the cost up front: Although limo rides tend to be seen as more of a splurge than a taxi ride, that’s not always accurate. Unless your taxi ride comes with a flat fare (like airport transportation), you’ll never know what your ride will cost until you arrive. This can make it difficult to budget accurately and can be an issue if you don’t carry cash or feel uncomfortable using a credit card in a cab. When you rent a limo, you’ll know exactly how much you’ll pay for your trip and the cost won’t be impacted by unusual traffic. You can experience high-class amenities: Why rent a limo if not for the exciting extras that often come along with the ride? When you call a cab, you might get to catch a song on the radio or a snippet of a talk show on the tiny television monitor in the back. It’s not what most people would call stellar entertainment. But with limo ground transportation options, you’ll have a beautiful car, working air conditioning, privacy, or even wireless internet. It’s certainly the more impressive of your two choices, by far. If you’re weighing the pros and cons of these two ground transportation options, a limo rental has to be the clear winner. 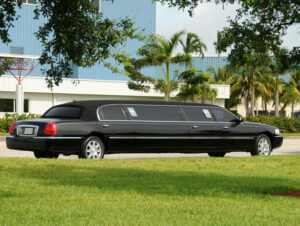 To find out more about renting a limo for your next event, please contact us today.